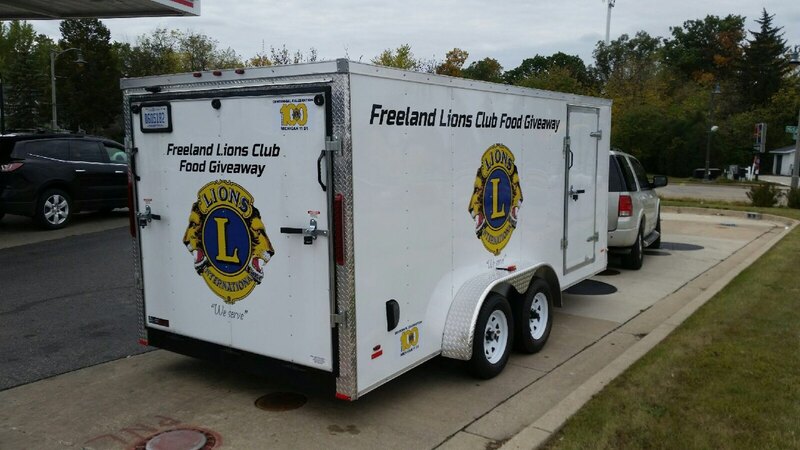 The Freeland Lions Club offers Free Food Giveaways several times throughout the year. ​These are held at Freeland High School. We can always use volunteers to help manage traffic and hand out food. PLEASE feel free to join us. It's a great way to get your family or organization involved to meet the needs of our Freeland families! Typically, volunteers should report between 8:00-8:30 a.m.
Give away starts at 9:00 a.m. Usually lasts just a short time.